Now that it's apparent that CNG drivers were only using the meter as a special tribute to the Cricket World Cup and Dhaka's back to her usual self, it's hardly surprising when inching through the jams that one's thoughts are sometimes given over to the metro dreaming. With the regularity of newspaper announcements on the subject I can't be the only one. But what sort of metro will it be? The number and width of the rails, the carriage and platform dimensions, above ground, below ground: let the engineers tackle such trivialities. More important are the cultural dimensions, for in any city the nature of the mass transit system is a window into the community's psyche. A metro system is far more than transport. It's a cultural statement. 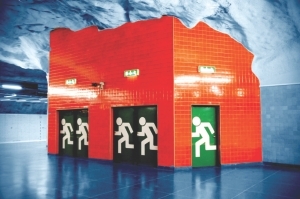 In Switzerland trains have a habit of leaving early while Tokyo is renowned for employing 'pushers' whose job is to shove more people into each carriage before the doors close; and in Stockholm's tunnelbana the stations are so imaginatively decorated they've become a tourist attraction. It's said to be the longest art gallery in the world; the Moscow Metro disputes this. Will Dhaka's version resemble Sydney's trains where businesspeople sit in neat rows ignoring each other or incline towards Kolkata's trains where groups of commuters pass uncomfortable hours by playing cards, chatting and sometimes thumping out a drum beat on their books or briefcases while singing aloud to entertain the whole carriage? It's not only passengers who can sing. 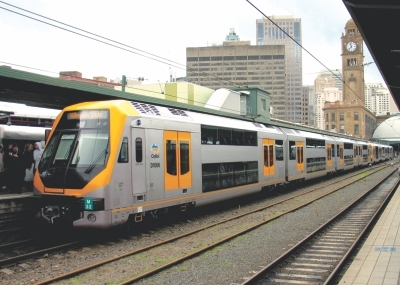 There was one occasion, highly unusual, when a conductor in Sydney decided rather than simply listing the names of the coming stations over the PA system he'd sing them operatically. It got everybody smiling; though being Sydney there's every chance he got in trouble for not being sufficiently mechanical. Could singing conductors work in Dhaka, perhaps with tabla and harmonium? How about rhyming station names to promote poetry? 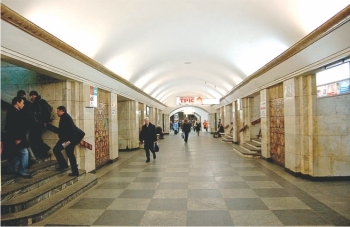 In the Ukrainian capital Kyiv there's the history of the Cold War in the metro, with the Soviet-constructed stations built to double as bomb shelters in the case of nuclear attack. The escalators are long, steep and rapid; the platforms far enough under the earth to wonder if it shouldn't be getting a little hotter down there. 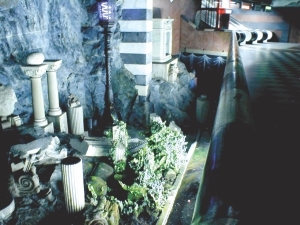 One of the deepest stations in the world is in Kyiv, Arsenalna at 105.5 metres below ground. For a cheap set fare for which a blue plastic token is purchased, any length of journey is allowed. Now that's equality! In Ukraine commuters were chivalrous. For gentlemen to stand up for ladies was expected behaviour and any sitting male risked being publicly rebuked if they made a woman stand. A chauvinistic practice to be sure, and I made that point on the bus with my friend Tanya, when I'd stand at the stairs as we got out and extend my hand for her to help me down, just to show it could be done the other way around. But in actuality it was quite impressive, chauvinistic or not. On the other hand, one of my colleagues in Kyiv, Valerie, complained that on the metro people played music so loudly he couldn't concentrate on his reading. I thought he was being oversensitive, imagining a Sydney scenario with someone listening to their headset at high volume such that the drum beat resounded slightly in the adjacent seats. But no, he meant a guy with a ghetto blaster, no headphones, pumping Russian rap at a deafening level, so I discovered. In general Ukrainians had a high level of noise tolerance; and in Dhaka too I can't imagine many music-related complaints. People might even enjoy it. Dhaka possibly doesn't need the peak hour Kolkata train scenario: those passengers hanging out the door, hanging onto other passengers, one of whom in the inevitable chain has an actual grip on the train itself, though already here the trains feature the air-conditioned top class passengers perched on the roof. Sydney trains meanwhile document changes in national dietary habits over the decades, in the form of the three-person seats which have somehow reduced over time to fit approximately 2.5. 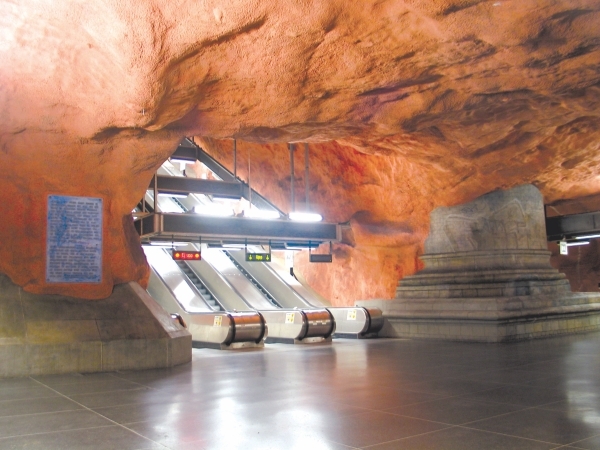 The underground metro of Kolkata is a little like Stockholm's, a tourist attraction, be it for a very different reason. There's a really interesting human phenomenon which occurs at the terminus stations. I saw it several times, what could be called the Dum Dum Phenomenon. Along the platform at the precise points where the doors of the carriage of the new, empty train are due, people cluster like grapes on an otherwise empty platform. For the most part they stand politely and quietly. The train arrives. At the split second the electric doors open the businessmen commuters transform into something of a rugby scrum, pushing and tiger-wrestling into the carriage in a seat-finding free-for-all. The best part comes at most fifteen seconds later when the participants are sitting upright and sedate, unfolding newspapers and reading glasses, the absolute model of gentility. There's a kind of instantaneous collective amnesia about it: the just completed seat-scramble simply did not happen and is visible only vaguely in the resigned despair on the faces of the businessmen who didn't push quite hard enough and have to stand. The Dum Dum Phenomenon may be a comment on colonialism: the scramble for resources followed by the victor suddenly behaving like an aristocrat. I suppose it's better to be orderly but those brief metro scrums are mildly hilarious so perhaps in Dhaka something could be organised irregularly, like a Scrum-Sunday tradition when train boarding decorum is outlawed, to keep things a little boisterous and fun. In Kolkata they try to keep it clean, the metro, be it a kind of subtropical-clean; and it can't be easy when you've got an enormous black bull taking a rest beside the ticket window. I certainly wouldn't like to be in charge of sweeping around him. Clean is an uncontroversial desire for any metro. 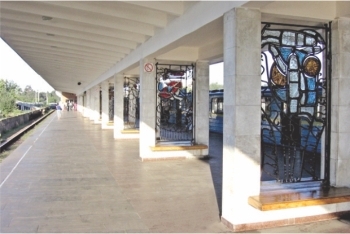 I'd like to walk under an inspiring quote from Nazrul, Rabindranath, Sufia Kamal or their fellows at every station entrance; and it'd be nice if the stations featured Bangladeshi architecture on the outside and village-style interior décor. How about bamboo thatch decoration along the carriage ceilings? Could there be a section with a tin roof to catch that monsoon rain sound that's so divine? Would it be at all convenient to have sheetalpati or woven mat upholstery on the seating, which would certainly be cool on the hot days? And if spitting is not to be banned perhaps each carriage could feature ornamental made-in-Dhamrai brass spittoons in the corner? Outside the station entrance it would be nice to see some permanent well-spaced tea shops, also selling phuchka and chatpati, to make the metro a social place, and perhaps each station could reserve room to provide a number of real beds for Dhaka's homeless people such that they don't need to sleep on the ground. Whatever the eventual model, there's one characteristic from the Tehran metro that doesn't need emulation. It's up and running now and most probably fine. I've not seen it but I do recall in the mid-90s the only thing running in Tehran was the joke about the city's metro which had been 'under construction' for several decades! In Tehran they finally got there and so one day will Dhaka. It's going to be a tough job trying to incorporate the enormity of Bangladeshi culture into several hundred square metres of platform and a fleet of carriages. The engineers have it easy. But for now there's little to do but head out onto the roads. For now, there's only the metro dreaming.